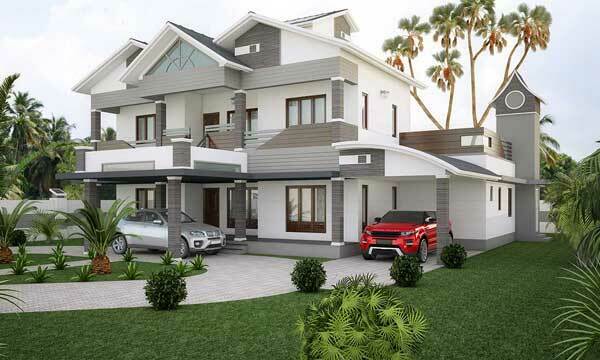 This voguishly designed home in Vadakanchery, Thrissur marks its style as a perfect fusion of modern- contemporary architecture design. The façade with the clean bold lines and a subtle blend of textures together creates lasting impression. 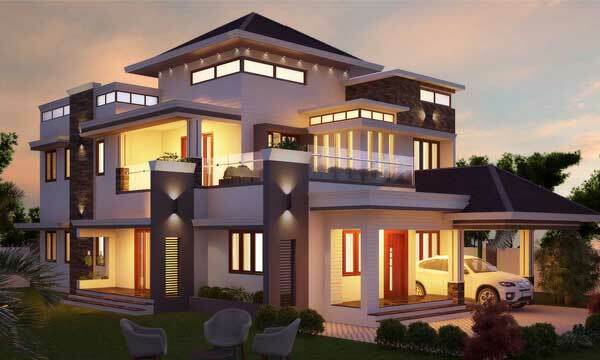 The balance placement of windows and the multiple terraces crafts a beautiful blend of style and functionality. Contemporary living adheres to few principles defining its simple aesthetic, clean lines, minimal clutter and natural colour palette. These elements are key to a serene and sophisticated lifestyle. 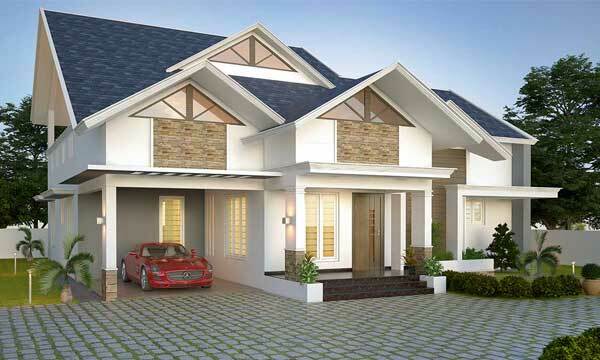 A play of modern and classy textures is well evident in the façade. The marble cladding, ACP sheets with wood texture and the show wall with stone cladding together builds a soothing exterior finish. 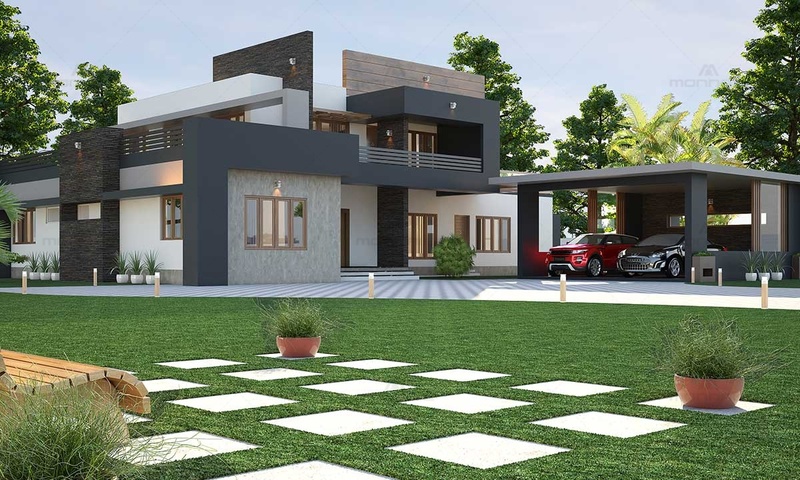 As one of the best architects in Kerala, we have used simple geometrical compositions to create a classy exterior flushed within the green landscape. The simple and elegant car porch with the vertical louvers and glass partitioning blends with the whole concept of the exterior. 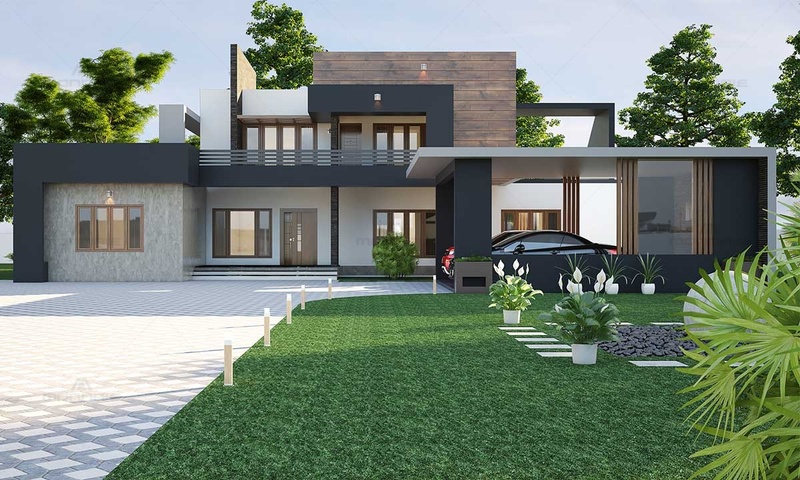 Being one of the leading architects in Thrissur, together with creating a beautiful exterior we ensure quality interior spaces showcasing fine taste of aesthetics.